The Halti Harness is a new concept to the world of dogs where you take control with little effort or need for skill. 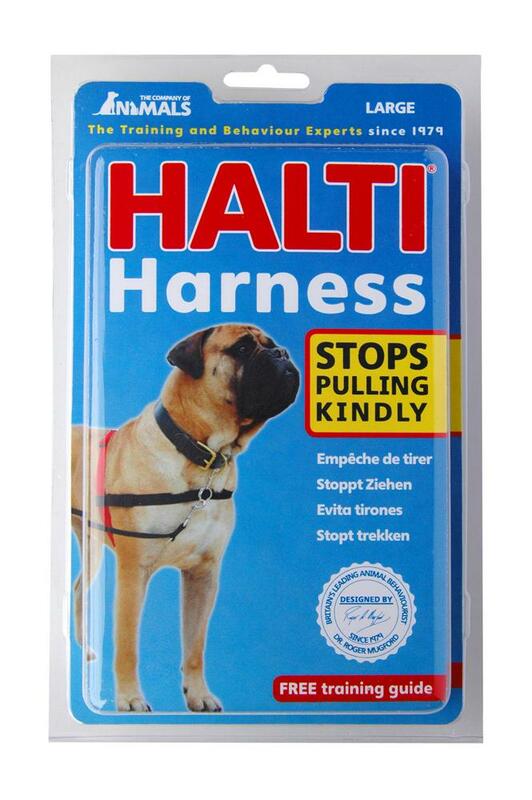 Designed by Dr Roger Mugford, the Halti Harness stops pulling, calms over-boisterous dogs and simplifies training and behavioural therapy. It steers from the chest: an effective point of control. 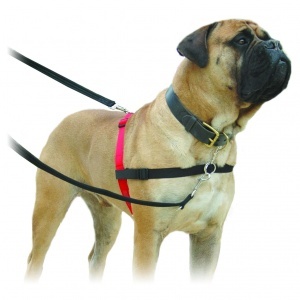 The benefit of a properly used Halti Harness is that it gives total control over the dog's shoulders and thus sets the direction in which he can move. Best used in conjunction with the double ended Halti Training Lead linked to both the chest and shoulder rings of the harness.